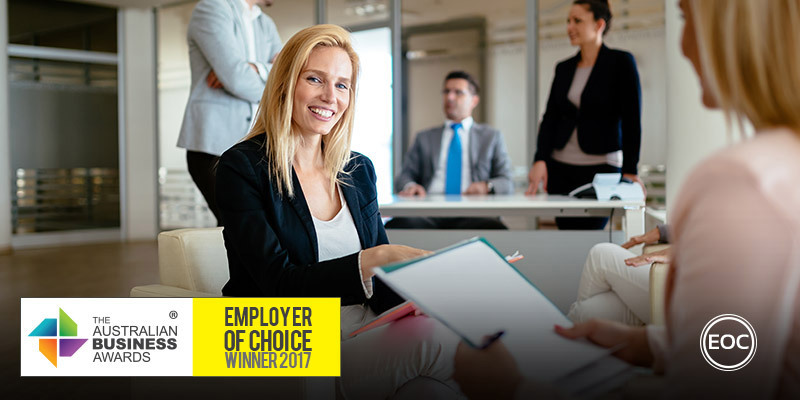 Compass Housing Services has been recognised as an Employer of Choice in The Australian Business Awards 2017. Compass Housing Services Company Limited (Compass) is an international community housing provider that provides social and affordable housing for low to moderate income households. We undertake all aspects of tenancy and property management, including allocations and wait-list management, and have a proven track record of managing a wide range of tenancies under a variety of housing programs. To achieve a positive workplace culture, high employee engagement and to foster the growth of future leaders Compass views education and training as a key element. Compass continually scans the external environment for innovative ways to further support learning and development opportunities for their employees. With this objective in mind Compass provides an annual training budget of $1,200 per employee and five paid study days which are made available to employees to encourage continuing professional development. Their human resource department also works in consultation with departmental leaders to identify relevant training opportunities for employees. Compass continues to invest in the professional development of its employees; with a training spend in the 2015-16 financial year of over $136,000. This figure does not include mandatory training provided to employees or the cost of paid study day’s which forms a component of the employee benefits. Compass works closely with training providers to ensure any mandatory training provided is relevant and will provide our employees with tools to more effectively and safely undertake their day to day work tasks. Compass has in place human resource strategies that support the development of a culture of high performance, accountability and responsibility. These strategies are aligned with their annual performance appraisals, KPI bonus scheme, opportunities for employees to undertake higher duties or participate in a Buddy Program (where experienced employees are buddied with a new employee during their probation period), as well as opportunities for contributing as a member of a project work group. Compass also contributes to industry remuneration surveys. These surveys then provide accurate remuneration data to allow Compass to benchmark and compare their salary levels against other organisations within their sector.